December is the month with the shortest days (at least in the Northern hemisphere). To brighten the dark days, make Christmas stained glass pictures using tissue paper in various colours. Children will be proud to help decorating their home with their works of art. 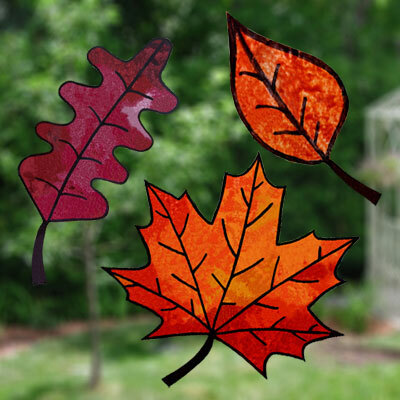 These nice stained glass pictures are great Christmas craft ideas that will lighten up your home during the holidays. 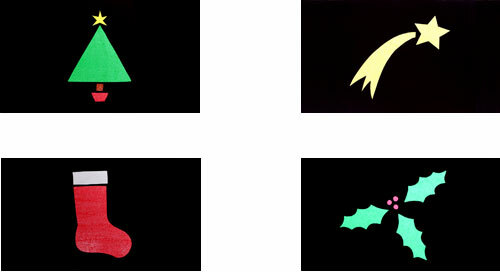 There are many images that fit the Christmas theme: a Christmas tree, a stocking, a star, an ornament, holly leaves, etc. If you work in a daycare or school, you might want to make templates from sturdy cardboard. You can reuse these templates year after year to save yourself some work. 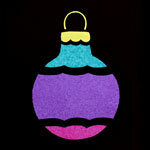 I have created five stained glass designs on the theme of Christmas. You get get them by clicking here. Hello! I’ve been following your website for a while now and finally got the courage to go ahead and give you a shout out from Texas. Just wanted to tell you keep up the excellent job!